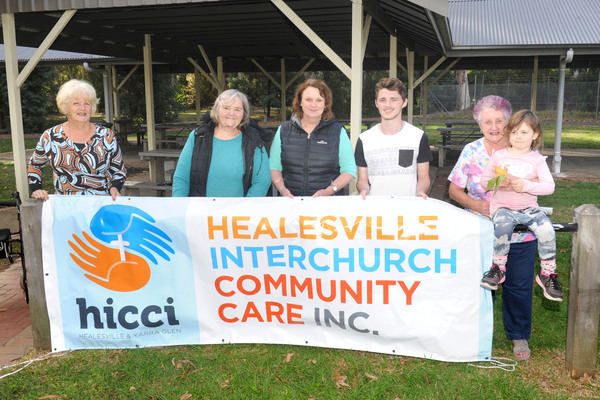 Healesville Inter-Church Community Care Inc. will host their annual Walk for HICCI Event at Queens Park, Healesville on Saturday 27 April. The event will feature one, two and three kilometre walks to raise funds to support the work of HICCI. HICCI executive officer Alison Gommers said that anyone is welcome to participate in the walk, they just have to grab a registration form from the HICCI office in Healesville or at the event. “It’s just a walk around our nice Queens Park and then to just have a bit of a morning tea afterwards for a bit of a get together,” she said. Participants are encouraged to raise money through sponsors. “There is a $100 prize for the most money raised and $50 for those from a primary or secondary school student who raises the most money,” Ms Gommers said. This year will mark the third year that the Walk for HICCI will take place. Long-time Walk for HICCI participant Sharon Martin said she gets involved to keep fit and to raise money for a good cause. “We represent a network of seven Christian churches in the Healesville and Yarra Glen area,” Ms Gommers said. HICCI welcomes locals to join their community dinners on Tuesday nights from 5.30pm. “Anyone is welcome. It’s a community dinner so it’s for the community. “The food is there so it’s a shame that people aren’t accessing it. For many it’s more about the social contact more than the meal itself,” Ms Gommers said. For more information regarding the Walk for HICCI call: 5911 6000 or visit the HICCI Facebook page for more information. Registration forms can be found at the HICCI office at 231 Maroondah Highway, Healesville.